Your feedback is important to us! Feel free to sign our Guestbook. 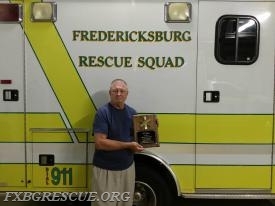 Fredericksburg Rescue Squad will be holding an EMT class this Spring!!!! Start Date is April 30th to Aug 22nd. Classes are Tuesdays and Wednesdays starting at 1900 and Alternating Saturdays for practical practice. Price for outside members is $630 which is required at the first class. Life Member Pat O'Connell recently received his 50 years of service plaque from the rescue squad. 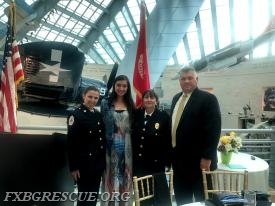 On behalf of the rescue squad, Thank You, Pat!